Based on the research, Melatonin would have a positive synergistic theraputic effect in combination with juice fasting, for cancer treatment and prevention, including hormonal imbalances, sleep disorders and boosting the immune system. Melatonin is a hormone found in all living creatures. Melatonin is naturally synthesized from the amino acid tryptophan. Although the curative effects of MELATONIN continues as a subject of much debate, recent research suggests that supplementing the hormone, (produced naturally by the body in decreasing amounts as people grow older) with nutritional supplements can produce some positive results. 1 1 It’s the hot sleeping pill, natural and cheap. Now scientists say this hormone could reset the body’s aging clock, turning back the ravages of time. Like most animals, we produce melatonin abundantly through-out early life. But the levels in our blood drop slightly before puberty and decline steadily into old age. When Pierpaoli, an Italian immunologist, restores youthful levels of the hormone in mice, they outlive their life expectancies by nearly a third. And his findings are consistent with a burgeoning scientific literature. Recent studies suggest that supplementing the hormone may bolster our immune systems, keep our cells from disintegrating, slow the growth of tumors and cataracts, and ward off heart disease. All that while helping us sleep better. First identified just four decades ago, melatonin is now recognized as one of life’s most ubiquitous molecules. It turns up in such diverse organisms as people and protozoa, suggesting it dates back a billion years or so. Humans secrete it cyclically from the pineal gland, a pea- size structure nestled at the center of the brain, in response to the amount of light hitting our eyes (chart). Physiologists know melatonin as the hormone that keeps us in sync with the rhythms of the day and the season. Through its actions on other hormones, it helps determine when people sleep and horses breed, when birds migrate, dogs shed their coats and certain frogs change color. But cellular biologists have recently discovered that melatonin has an even, more basic function, which is to protect oxygen-based life from the toxic effects of…oxygen. Yes, oxygen. As we metabolize this life sustaining gas, we generate highly reactive molecules called free radicals, which can corrode our cellular membranes and damage our DNA. The process, known as oxidation, weakens our minds and muscles as we age, and contributes to at least 60 degenerative diseases, including cancer, heart disease and Alzheimer’s. The body produces several enzymes to inhibit oxidation, and nutrients such as vitamin C, vitamin E and beta carotene can provide extra protection. But most of these so-called antioxidants work only in certain parts of certain cells. Melatonin readily permeates any cell in any part of the body-including the brain. And as Reiter’s research team has recently shown in animal experiments, the hormone can protect tissues from an amazing array of assaults. The evidence started stacking up just two years ago, when Reiter and his colleagues showed that a small dose of melatonin could shield rats from a cancer-causing chemical called safrole. Given alone, safrole quickly oxidizes liver cells, causing extensive DNA damage. But when rats got tiny doses of melatonin before their safrole shots, they exhibited 41 percent less damage than their untreated counterparts – and those receiving a slightly larger dose of melatonin suffered just 1 percent as much liver damage as the controls. In more recent studies, Reiter’s team has shown that melatonin’s, antioxidant action can protect rats from ionizing radiation (halving the death rate from a normally lethal dose), and can shield the animals’ lungs from the deadly herbicide paraquat. Melatonin may also help prevent cataracts, the cloudy lesions that appear on our eyes as oxidation damages cells in the lenses. When the Texas researchers gave 18 newborn rats a toxic compound called BSO, all 18 developed cataracts within two weeks. But when 15 animals got the same treatment plus melatonin, 14 maintained perfectly clear eyes. OXIDATION isn’t the only reason we falI apart as we age. We also lose our immune function. The thymus gland shrinks over time, sapping our ability to generate infection-fighting T cells, and we produce fewer of the antibody molecules that bind with and neutralize foreign invaders, such as viruses and bacteria. Could all of this follow from a loss of melatonin? Test-tube studies have identified receptors, or specialized portals, for melatonin on the cells and glands of the immune system. And animal experiments are showing that the hormone can preserve, or even restore, a creature’s defenses. One of the best examples comes from Pierpaoli’s mouse lab. A few years ago he paired 10 young mice with 10 old ones and had a microsurgeon switch their pineal glands (old to young and vice versa). Before long, the youngsters were hobbling around with cataracts in their eyes and bald patches on their backs. The old ones gained muscle and energy, and their coats grew thick and shiny. Autopsies revealed what was probably part of the reason. The young mice had all but lost their thymus glands after the pineal transplant. The oldsters had had theirs restored. In other animal studies, Italian researchers have shown that a nightly melatonin supplement can boost the performance of immune systems compromised by age, drugs or stress. And scientists in Israel and Switzerland have found that when mice receive melatonin, their odds of surviving infection with an encephalitis virus more than double. No one knows just how neatly any of these findings will apply to people. But together they suggest that melatonin could help us prevent, and even treat, the most common afflictions of old age. Where cancer is concerned, the evidence isn’t limited to mouse studies. Autopsy studies suggest that pineal calcification (a condition that hardens the gland and reduces melatonin output) is most common in countries with high rates of breast cancer and least common in countries where breast cancer is rare. By the same token, women taking chlorpromazine antipsychotic medication that raises melatonin levels, enjoy unusually low rates of the disease. The explanation, says Dr. Michael Cohen of Fairfax, Va., involves estrogen. Prolonged exposure to that hormone (due to early puberty, infrequent childbearing or late menopause) increases a woman’s risk of breast cancer. But melatonin dampens the release of estrogen. In fact, high melatonin levels can temporarily shut down the reproductive system. That’s why females in most species are fertile only at certain times of year. Exploiting this principle, Cohen has combined a stiff (75 mg) dose of melatonin with progestin to create a new oral contraceptive. The drug, called B-Oval, has performed as well as conventional birth-control pills in European studies involving 1,000 women, and has shown no toxicity. Cohen plans to launch U.S. trials within two years, but his goal is not simply to market another contraceptive. If his hypothesis about melatonin, estrogen and breast tumors bears out, the new pill could help women prevent cancer as well as unwanted pregnancies. Melatonin may also prove useful for fighting existing malignancies. Several studies have shown that melatonin can slow the growth of human tumor cells in a test tube, and some cancer specialists are now testing its effects on patients. In a 1992 study, Dr. Paoli Lissoni and his colleagues at San Gerardo Hospital in Monza, Italy, found that a nightly melatonin supplement (10 mg) significantly improved one-year survival rates among patients with metastatic lung cancer. The same lab has since reported that melatonin can enhance the effect of interleukin-2 shots (IL-2 is a hormone that helps T cells proliferate) on cancers of the lung, kidney, liver, colon and pancreas. IL-2 causes horrific fevers and nausea at the doses normally required to tame tumors. 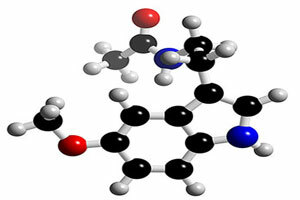 But Lissoni’s group found that the compound is effective at a fraction of the usual dose when accompanied by melatonin. DEFINING THIS HORMONE’S true powers as an antidote to aging and chronic illness will take years, if not decades. There are countless leads to follow. Animal studies suggest that besides combating cancer, melatonin might help control cholesterol, regulate blood pressure and modulate the release of heart-killing stress hormones. But today’s users aren’t overly concerned with any of this. Most just want a decent night’s sleep – and many will tell you they’ve found it. Robbie Felix, a 4O year old employment consultant in Silicon Valley, says she was a “chronic insomniac” until two years ago, when she read about melatonin on the Internet. Since then, she has taken 15 to 20 milligrams every night (three to four times the typical dose), and slept soundly. “With traditional sleeping pills you’re groggy the next day, ” she says. “Not with this.” Dr. Steven Bock of Rhinebeck, N.Y., author of a new book titled “Stay Young the Melatonin Way,” says he has given the stuff to 300 patients and never seen a bad reaction. Dr. Ray Sahelian of Los Angeles (author of “Melatonin: Nature’s Sleeping pill”) is just as excited. “I think eventually this will make prescription sleeping pills all but obsolete,” he says. There are plenty of drugs that can bring on sleep, but they have well- known drawbacks. They tend to suppress the restorative dream state known as REM. They lose their effect over time. They’re addictive if used too often, and at high doses they can kill you. Researchers have yet to report any of these problems with melatonin. When government scientists set out to find melatonin’s “LD 50, – the dose that’s lethal to 50 percent of the animals receiving it – they couldn’t make a rich enough concentrate to kill a mouse. And when researchers fed human volunteers 6 grams (6,000 mg) of the stuff every night for a month, stomach discomfort and some residual sleepiness were the only reported side effects. For now, consumers are stuck deciding for themselves whether to trust what they read on a label. There’s no reason to assume that melatonin is any more hazardous than other unregulated supplements. And as enthusiasts like to point out, regulated prescription drugs still carry plenty of risks. So far, the FDA has shown little interest in controlling melatonin. The agency simply warns users that they take it “without any assurance that it is safe or that it will have any beneficial effect.” It’s a worthy admonition, but it’s not likely to turn people away. The promise is too rich: a good night’s sleep, complete with dreams of a rip-roaring 105th birthday party. Hello; I’m on my 7th day of hopefully a 30 day water fast. I’ve been dealing with insomnia the past couple years and melatonin has helped getting me to sleep faster. Staying asleep is another story. Question: Can I take melatonin during a water fast? Yes take melatonin during a water fast as the amount is so small. Cannabis eaten before bed works if a person is eating is amazing for sleep.